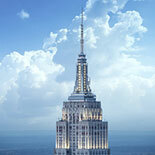 The New York City Explorer Pass- is the best choice for maximum savings and flexibility. 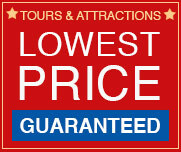 Save up to 45% off retail prices on admission to 3 attractions and activities of your choice from over 50 options. 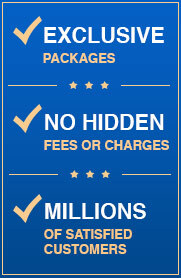 Valid up to 30 days. Save Money: Save up to 45% off combined admission prices. Flexibility: Create your own itinerary from over 50 attraction choices. 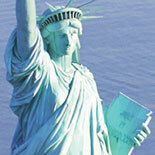 Insider Info: Free guidebook and map available in 5 languages. 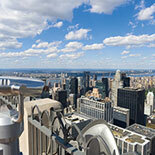 The New York City Explorer Pass is the best choice for maximum savings and flexibility. 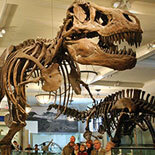 Save up to 45% off retail prices on admission to 3 attractions of your choice from over 50 choices. Enjoy the flexibility to choose attractions as you go and take up to 30 days to use your pass. 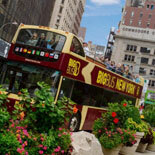 Attractions include a hop-on hop-off bus tour, Statue of Liberty and Ellis Island ferry ticket, Empire State Building, Top of the Rock, the MET, and more. 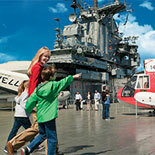 "Intrepid Sea, Air & Space Museum"
Operating times vary with each attraction. Most attractions are closed on Thanksgiving, Christmas and New Year's Day. Please see Guidebook for details. Lost card(s) are nonrefundable. One Guidebook is included with each order. Additional guidebooks are available for free.